Square Enix issued the latest development statuses of the games currently in development in the Final Fantasy series in the form of cryptic percentage numbers in the latest issue of Famitsu today; aibo_ac7 on Twitter promptly posted said numbers for everyone to see. Without any context, these seem completely arbitrary, but it’s a good indication of what they’re actually working on as opposed to assuming they’re working on something *clears throat* more important. If you guys read through this entire list and said to yourselves, “Wait. Where’s Final Fantasy Versus XIII?” your guess is as good as mine. Some of the crew here at Gamer Horizon are hoping that Square Enix will announce something incredibly amazing at the show–maybe a new iteration in the Final Fantasy series–but early reports from other outlets and our sources suggest nothing of the sort. 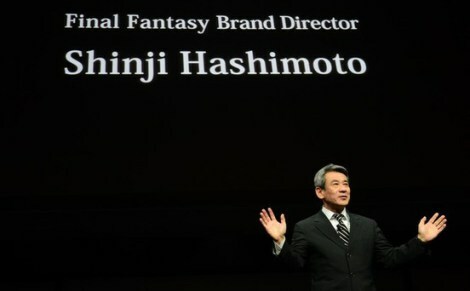 What could the possible future of the Final Fantasy series be that Shinji Hashimoto hinted at during Sony’s PlayStation Meeting? Sound off in the comments! Do I smell a second fall of Square Enix incoming? Sure seems like it. I’ll stick to my usual (and fallible) cautious optimism. Rumors are never good, but the last thing I had read was that Versus XIII (which has been the only Final Fantasy game I have wanted over the past six or seven years) is indeed now Final Fantasy XV and being co-developed by SCEJ. That does sound slightly off, as I’m sure Squeenix wants all of the money that they can get, but after how shaky XIII for the 360 turned out to be, maybe they’re trying to focus and make the Final Fantasy brand something people want again. Hopefully E3 2013 will shed some light on the subject. I’ve been playing Theatrhythm: Final Fantasy lately, and I’m overdosing on nostalgia! I’m so ready for another GOOD Final Fantasy game. Agreed, we need a GOOD Final Fantasy game. I just recently completed FF 13-2, and although I enjoyed the game, I have to say that Square Enix should focus more on delivering new titles instead of expanding on already established titles through sequels. I would like to see a completely new Final Fantasy-specific game – maybe even on some next gen console, who knows.